Our new vinyl replacement windows from the inside and the outside. My first impression when I got home from work on installation day was WOW! First of all, we were told the job would take two days since it involved replacing three patio doors. 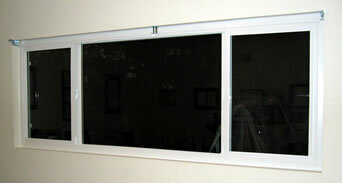 Unlike windows, replacing patio doors involves removing the old frame from the house. So when one of the installers told me they were done, I was quite surprised. As for the windows and doors themselves, I have to say they looked fantastic from the outside. The coil wrap trim is a perfect match to the rest of the trim on the house. The ugly old aluminum is no more and the overall appearance of the house has been greatly improved. On the inside, the improvement in appearance was less dramatic but still substantial. The clean white vinyl gives the house a more updated and modern look. I say the interior change was less dramatic because we always kept our discolored old aluminum windows hidden by blinds and curtains. Now they we have the new windows, we’re leaving the window coverings open a lot more. The new windows and patio doors operate much better than our old ones. They don’t exactly glide, but they slide with little effort. Our old patio doors had broken rollers and locks that didn’t work, so the difference here is night and day. The new vinyl frame is almost twice as wide as the old aluminum frame, which means we've lost a significant amount of glass area. With any major project, there are going to be things that aren’t perfect and this was no exception. My biggest disappointment with the new windows is the amount of glass area that we have lost. 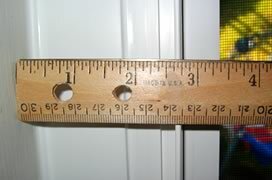 We knew this was one of the tradeoffs when choosing replacement windows over new constructions windows. That’s why we chose a company that offered “thin” vinyl frames. Even so, I was surprised by how much of our old glass has been replaced by the vinyl frame. None of our rooms are noticeably darker during the day than they used to be, but I’m aware of the lost glass. As my wife mentioned, another unpleasant surprise was the lack of security when the windows are in the vent position. Even with the vent lock engaged, they can be lifted out of their tracks. Fortunately, this was easily fixed with a few screws in the top of the track. A final area of concern has to do with the large amount of caulk used to install the windows. Time will tell if it frequently gets dirty and how difficult it is to clean. 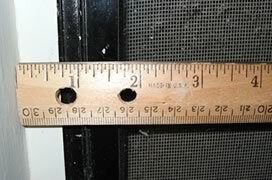 Despite these issues, my wife and I agree that vinyl replacement windows were one of the best investments we could have made in our home. 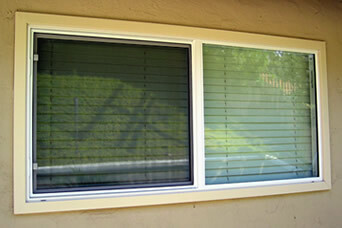 The whole house feels newer and quieter and we’re looking forward to the energy savings that the windows will provide. It’s also good to know that this is one of the best remodeling projects when it comes to getting your investment back when you sell. If you would like to receive a quote from a replacement window company in your area, please submit the form below. Thank you for visiting our site and good luck with your project.